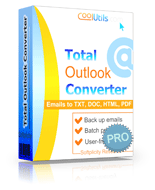 Using the Total Outlook Converter Pro you�ll quickly discover that converting PST to TXT has never been faster. Let�s face it; our phones have become mobile mini computers. Each day we use them to send each other emails and text messages. After awhile our inboxes begin to fill up -- and slow down. One way to keep things running smoothly is to periodically backup your emails into a TXT file. 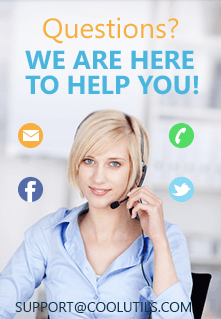 That�s where we can help! 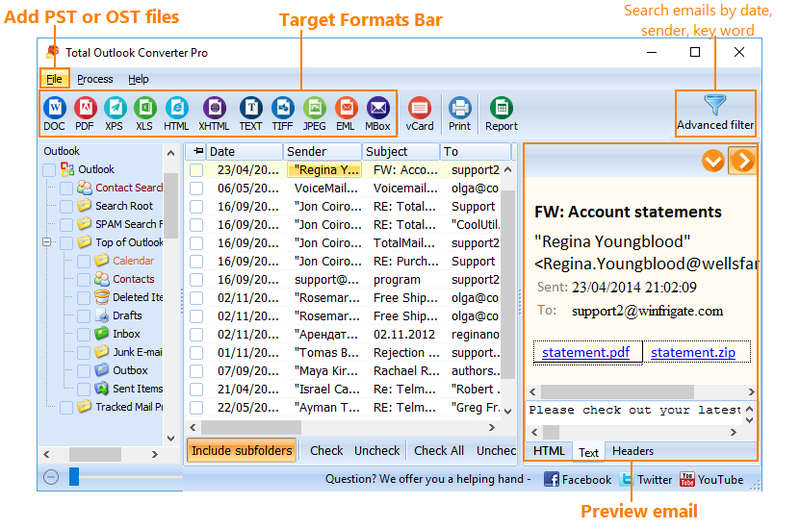 Our PST to TXT Converter is designed to convert your MS Outlook emails into TXT files. The best part? Our app let�s you convert PST to TXT with attachments. If you�re worried that something will be lost through the process of conversion: don�t be. We even give our users the option to selectively export specific fields. Simply select the export criteria you�d like to include (for example: date, subject, subject, body, recipient, or sender) and let the converter do the work. Have a large job? No problem; the Total Outlook Converter processes jobs in batch too. 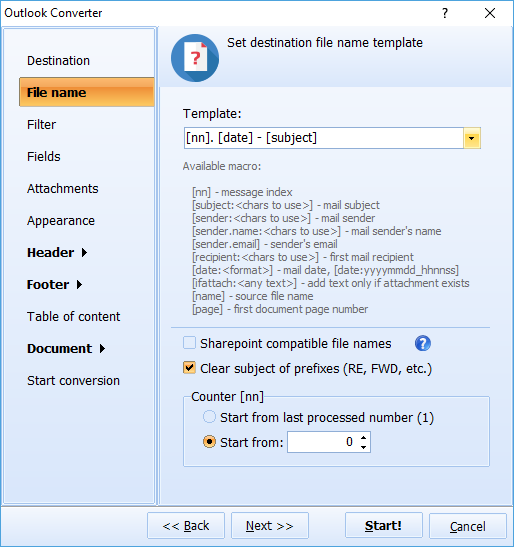 Combine multiple emails into one TXT file. Specify margins and paper size. Include customized stamps (i.e. confidential). Assign new descriptive names to your TXT files. Select do not access internet for images. Download the PST converter as part of a 30-day free trial. Saved files will receive a watermark during the trial but you�ll see firsthand how amazingly helpful our converter can be. When you upgrade to Pro for just $99.90 you�ll receive access to a lifetime license with all major upgrades free during the first year. 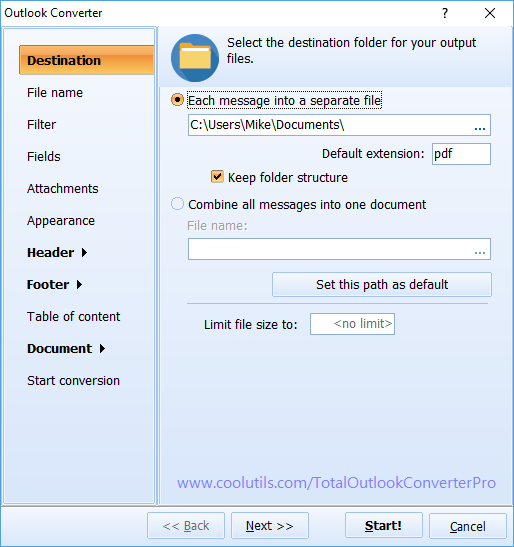 Other conversion utilities might assist with file conversions, but none offer their users the variety of benefits that come with the Total Outlook Converter Pro. Check out a few of the other formats we support converting your MS Outlook files to including: PST to PDF, PST to DOC, PST to HTML, PST to TIFF, and more!